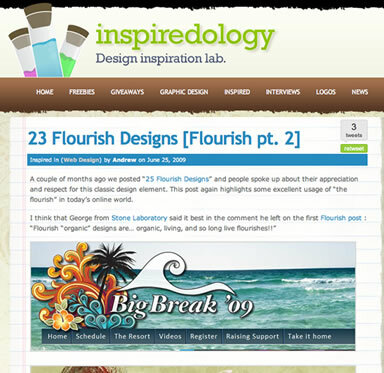 Today, I was reading through my RSS feeds and came to an article, 23 Flourish Designs, Part 2 on Inspiredology. I opened it up, and to my surprise, was a partial screenshot of big-break.com, a site that I designed at the end of 2008. Thanks for the honor, Inspiredology.